WLXV ended their stunting this mornings and did indeed make the flip to Country “96.7 The Bull“. The station is running jockless at launch with the usual 10,000 songs-in-a-row play. Original Report 9/3: Macdonald Garber Broadcasting Hot AC “Mix 96.7” WLXV Cadillac, MI is currently stunting with a ticking clock as it prepares for a Labor Day Weekend format change. 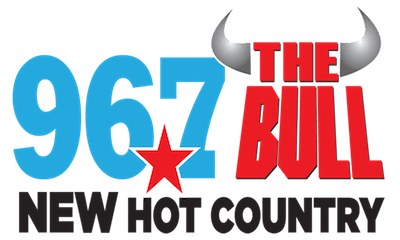 With sweepers stating “Tomorrow morning get ready to ride”, WLXV is on its way to a flip to Country as “96.7 The Bull” We reported last week in Daily Domains that TheBull967.com was registered by Macdonald Garber for the station. A flip to Country will give Cadillac a locally targeting station in the format as the area is currently served by Midwestern Broadcasting Company’s 103.5 WTCM Traverse City. The flip also surrenders the Cadillac Hot AC audience to Up North Radio’s 107.9 WCDY. Wonder if they licensed that logo from iHeartMedia.